How Much Do Interior Painters Charge Per Hour - Pristine Decors Inc.
Due to the major differences in the hourly rates of painting contractors, house owner may get surprised. Why it looks to the owners that some painters are cheating them? Obviously, the first question that comes to a house owner’s mind when he thinks of hiring a painter to paint the interior of his house is: “how much do interior painters charge per hour?” Hourly rates for interior painters range from $18 to $45 depending on many other important factors such travel-time, clean-up time, and set-up time. It also depends on what type of paint is required to paint walls in a home. If it’s a new home, then yes the time needed to paint is greater as it’ll need at least two coats to give it a beautiful finish. And even if it’s a half day’s job, painters charge full day’s pay as they’ll not be able to go to another site that day. As per the sources, if a paint artist costs lower than $35, then he’s likely to get less amount than an employee gets in an office. Let me clear you how it’s not always about the money. If you select a painter with the cheapest rate per hour, then disasters can happen with your home painting project. The painter you have hired may work slowly, and you may end up paying more money to him than an artist who charges more but works efficaciously. The painter who is ready to work for you less pay may be an unskilled or an unprofessional painter and thus can ruin the interior of your home. The painter may be competing in the price for the reason that he may not have a good reputation of doing quality work in time. There’s a very less possibility that a painter charges the least hourly rate and still able to perform the terrific job promptly. You cannot tell it in advance, and thus it’s hazardous to hire a painter at lower rates. One of the solutions to this problem is to ask the artist how much experience he has in this field in this area and ask for references where he has worked previously, and you can talk to those references directly. It’s also safer and secure to hire a painter who is licensed and insured. Usually, amateur painters do not have insurance while professional artists carry it with them wherever they go. Nowadays, it’s been a common trend to ask the cost estimate online or on mobile. This trend has disadvantages for the reason that the cost estimates may vary broadly than the actual cost as the painter has not seen their real working site. Therefore, if you want to get the nearly accurate cost estimate, then you must give the precise details of the task. 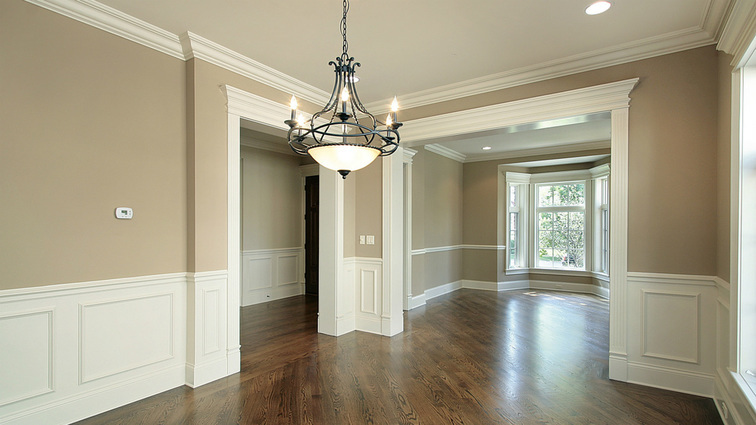 The details that you provide should include the number of rooms to be painted, the size of the individual rooms to be painted, ceiling height, number of windows and doors to be painted, the conditions of the surfaces that need painting, and any other special treatment that you require for your home’s interior. Continue Reading how much do painters charge per hour.